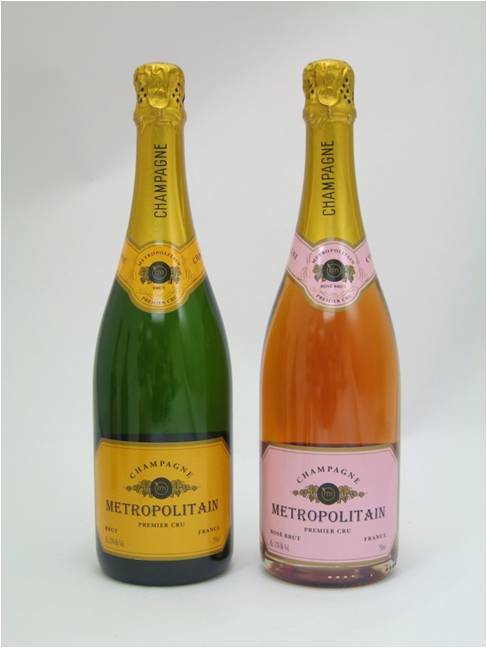 Metropolitain Champagne is here again! Imported exclusively for Metropolitan Market, this French gem comes to you in three varieties at an incredible value. This choice bubbly is a limited release, so get it before it’s gone. The Brut, which was a breakout hit last year, has chardonnay, roasted nut and brioche flavors to make this a well-rounded selection. Join the party Dec. 2, Pearl’s second anniversary! Join Pearl Bar and Dining Dec. 2, 6 p.m. to midnight to celebrate its second anniversary and help two great causes: Eastside Domestic Violence Program (EDVP) and Overlake Service League. Bring in a toy or donation for the many children in EDVP’s homeless shelters. While here, “grab a tag, grant a wish” from Pearl’s holiday tree to support Overlake’s families in need and at-risk youth. Pearl is giving you half off signature cocktails, glass wine pours, and small plates all night long! Taste incredible menu features designed especially for the unique qualities of these wines, from Mad Hatcher garlic kitchen to the 48-ounce (minimum) cut of American wagyu beef rib steak. The ultimate holiday libation has plenty of cheer and sparkling personality, the Rosemary Mandarin Sparkle. Try it out and please your holiday guests! Bend rosemary sprig and drop into mixer glass. Squeeze and drop in Cutie. Measure in and combine the Moon Mountain vodka, lemon and honey syrup. Fill with ice. Cap and shake vigorously. Strain into a large martini glass. Add a splash of champagne. Garnish with rosemary. *To make honey syrup combine one part local honey and one part hot water. Stir to combine and store refrigerated. Recipe and photo ©2010 Kathy Casey’s Liquid Kitchen™. Dine out without busting the holiday shopping budget! Every Sunday and Monday evening, enjoy $29, three-course, farm-to-table cooking from Executive Chef Brian Scheehser plus an incredible selection of half priced bottles of wine. Incredible starters such as orange flatbread and wild-foraged mushroom soup are complemented by such entrees as free range pan seared chicken, grilled lamb T-bone and a light house made gnocchi. Desserts include Trellis cookies, lemon sage flan or profiteroles with honey-rosemary ice cream, chocolate & caramel sauce. The recently renovated Yankee Grill brings comfort and joy for any holiday! New bar stools, four new flat screen televisions, and interior touches set the stage for relaxation, while special holiday drinks beckon. Sip hand-crafted Hot Buttered Rums (a warm, luscious dark rum concoction spiced with the caramel richness of brown sugar, cinnamon, nutmeg, cloves and more) and Peppermint Patties (a wintry rush of cream and mint sensations). Enjoy these treats over the holiday season, stop in for happy hour, and watch your favorite games in style! Keep Sullivan’s in your holiday plans. Right next door to the City’s best shopping, Swingin' at Sully's happens every Thursday night—making it the perfect destination to drop those bags, kick back and savor the best happy hour in town. What’s in it for you? Half priced bar entrées, $5 martinis and select glasses of wine all night long, plus a live jazz ensemble.